When her father fails to appear for lunch at their country estate, Martha Beale knows something is wrong. The family’s faithful dogs discover Lemuel Beale’s hunting rifle by the river, but there is no sign of the millionaire financier. Refusing to believe he is dead, his daughter—and sole heir—begins a discreet investigation with the help of the mayor’s aide, Thomas Kelman. But Philadelphia in 1842 is a dangerous place for a female, especially a twenty-six-year-old single woman. Martha’s quest for answers takes her from the pinnacle of high society, which is abuzz about a visiting European conjurer who communicates with the dead, to the city’s tragic slums where a brutal killer is targeting young prostitutes—and through it all Martha will confront the most ruthless aspects of human nature. 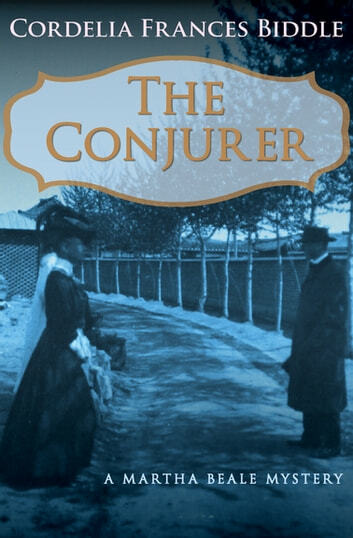 In a story deeply rooted in time and place and brimming with atmosphere and suspense, Cordelia Frances Biddle conjures a mesmerizing world of intrigue and hidden desires.